Tusnamis are generated by earthquakes, volcanic eruptions or large meteorite impacts. 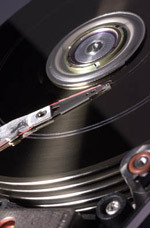 These initial events cause seismic waves which can be sensed by the fragile components of computer harddisks. Seismic waves travel with about 5000 m/s (18.000 km/h), while tsunamis travel much slower with a speed of 200 m/s (720 km/h, depending on the local depth) through water. This gives time for a tsunami forecast to be made and warnings to be issued to threatened areas, if warranted. 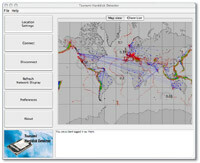 The Tsunami Harddisk Detector is a small software client (see Fig. 1) installed on your computer which continuously monitors the vibration of the internal components of your harddisk (see Fig. 2). Since they are extremely fragile, they react to any accelerations of the computer, including those that originate from earthquakes. Different technical strategies are currently under investigation to analze seismic activity. For best performance, the computer with its harddisk should be fastened to the ground. Fig. 1: Mainwindow of the software client application. Fig. 2: Harddisk read/write head. 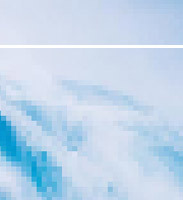 remove ‘signal noise’. Noise is generated by events that shake the harddisk, but can not cause a tsunami (e.g. a user kicks his computer). The supernode can detect this noise because it is improbable that many users kick their computer simultaneously. In order to be able to locate the epicenter, each node must know exactly where it stands on earth. Therefore, the longitude and latitude as well as the orientation must be entered when the software is started the first time. This data can be obtained from an attached GPS-mouse or from www.gpsvisualizer.com. Fig. 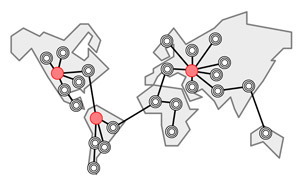 3: P2P network consisting of nodes used for sensing (white dots) and supernodes used for data analysis (red dots). Although the described method works in principle, it has inherent problems: the internals of harddisks operate at very high speeds with frequencies of about 1 kHz, while earthquakes exhibit much smaller frequencies (see the seismogram to the right). Also the accelerations during normal harddisk operation are about 30 g, while an earthquake has a much smaller horizontal acceleration (for example the Kobe earthquake in 1995 had 0.84 g horizontally). Hence, the waves resulting from earthquakes must be filtered out from other waves. The contents of these pages and provided software are used at your own risk. We do our best to make the warning system as reliable as possible. The authors of the site, its algorithms and data ACCEPT NO LIABILITY UNDER ANY CIRCUMSTANCES FOR ANY USE OF ANY INFORMATION OBTAINED FROM THIS SITE.